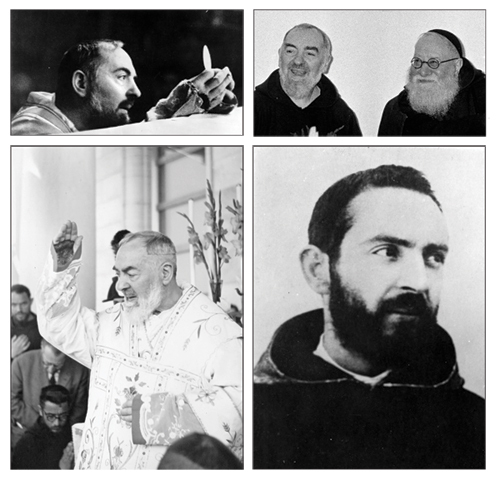 For the First Time Ever - The Secret Vatican Files Fully Revealed on Padre Pio! On June 14, 1921, a priest knocks at the convent in San Giovanni Rotondo. He is in his early forties and wears a simple cassock, but he is no ordinary priest. He is Bishop Raffaello Carlo Rossi, future cardinal and the Apostolic Visitor sent by the Holy Office to investigate secretly Padre Pio. The Bishop Inquisitor remains with the Capuchin Brothers for eight days, interrogating and recording depositions. He also interviews Padre Pio himself and examins the mysterious wounds of Christ that he bears on his body. Father Francesco Castelli is the historian for the Cause of Beatification of Pope John Paul II and a Professor of Modern Church History at the Romano Guardini Institute of Religious Sciences in Taranto, Italy. He is a contributor to many publications, and has recently discovered and published Karol Wojtyla's third letter to Padre Pio. This book contains the Vatican Documents on Padre Pio, given by a Bishop who went and examined the miracles attributed to Padre Pio. This book is mainly the personal notes of the Bishop, given the the Vatican. Great for anyone wanting to know more about this amazing saint!